"It didn't have to happen to me," said Tierney Darden, who was injured by a bus shelter at O'Hare Airport when it collapsed. "It shouldn't have happened to me." 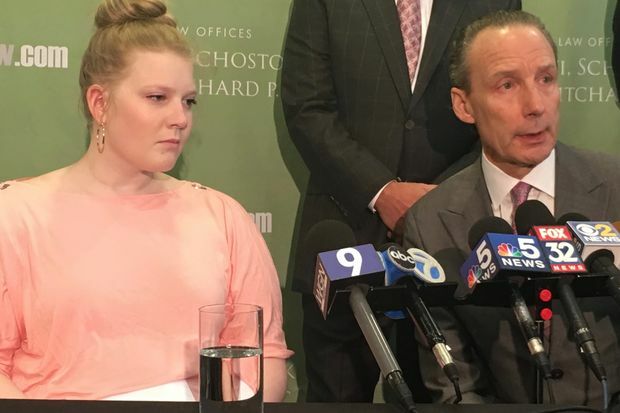 THE LOOP — A 26-year-old woman paralyzed by a bus shelter that collapsed at O'Hare Airport said a jury's decision to order the City of Chicago to pay her $148 million has "finally given her hope." Tierney Darden, a former dancer and student at Truman College, was on her way back to her suburban home after a trip to Minneapolis to shop for bridesmaid dresses when a storm whipped through the airport and toppled a pedestrian shelter weighing 750 pounds on to her, severing her spinal cord. Darden said she is in constant pain from her injuries. 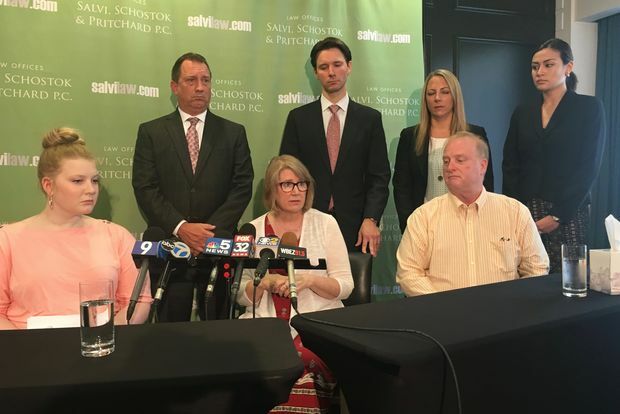 "It took away my legs, the two things I needed to do the one thing I loved most, which was to dance," Darden said at a Thursday morning news conference arranged by the firm that represented her in court, Salvi, Schostok & Pritchard. Attorney Patrick Salvi acknowledged the massive size of the award, but he said it was merited because of Darden's severe injuries as well as the fact that the city failed to properly maintain the shelters to prevent them from from posing a hazard to people passing through the airport. "This sweet young woman is a victim of careless, reckless conduct by the city," Salvi said. "Yes, this verdict is substantial. And it should be." Bill McCaffrey, a spokesman for the city's Law Department, did not immediately respond to questions from DNAinfo about whether the city planned to challenge the verdict. Salvi said he did not believe an appeal would be successful. The 10-day trial, which ended after the jury deliberated for about five hours, came after months of unsuccessful settlement negotiations. Darden's attorney's final offer to settle the case was for $95 million, Salvi said. The city's final offer was $30 million, he added. Darden, who said she was struggling to wrap her head around the size of the verdict, said she had no immediate plans for the money. However, Darden said she was pleased that the award would allow her family to hire aides to help take care of her — and ease the burden on her parents, who have been taking care of her for two years while continuing to work full time. "They need to live their lives, too," Darden said. Darden's father, David, said that while his daughter put on a brave face for the public, it had been difficult for him to see his "funny, bubbly little girl" become sad and depressed. Darden's parents said they were relieved that their daughter would be taken care of financially for the rest of her life and have access to the medical care that she requires.